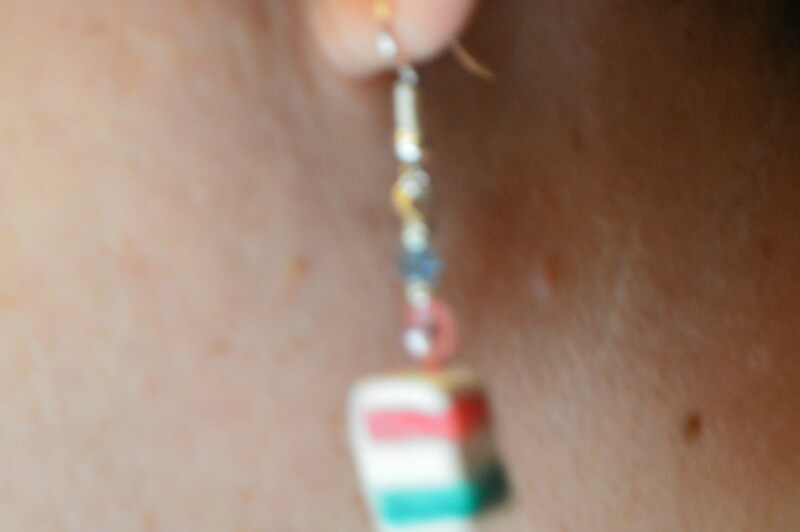 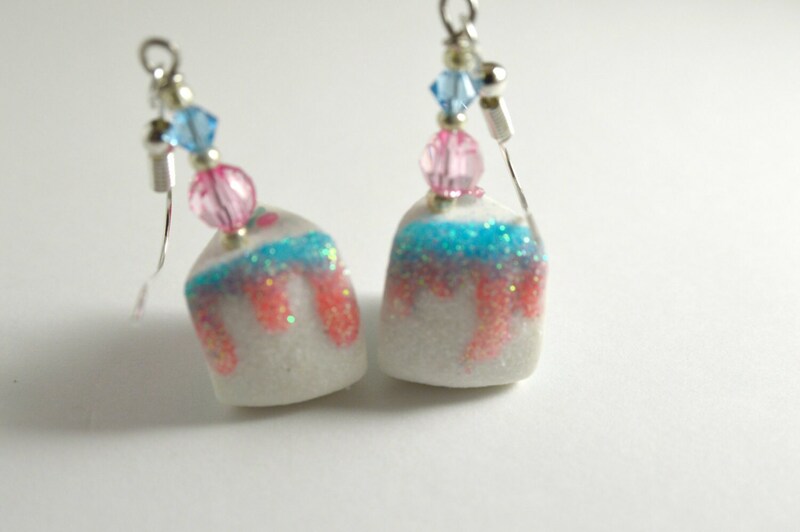 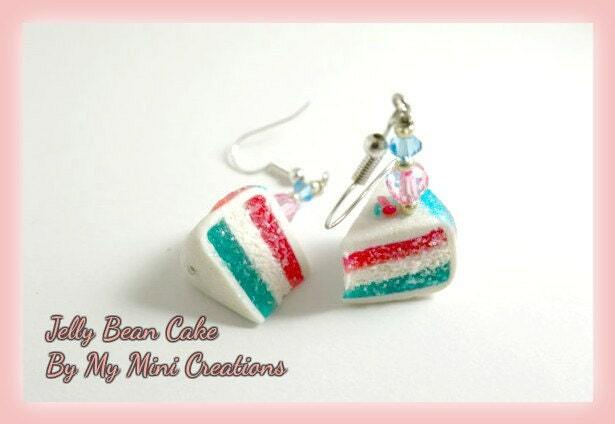 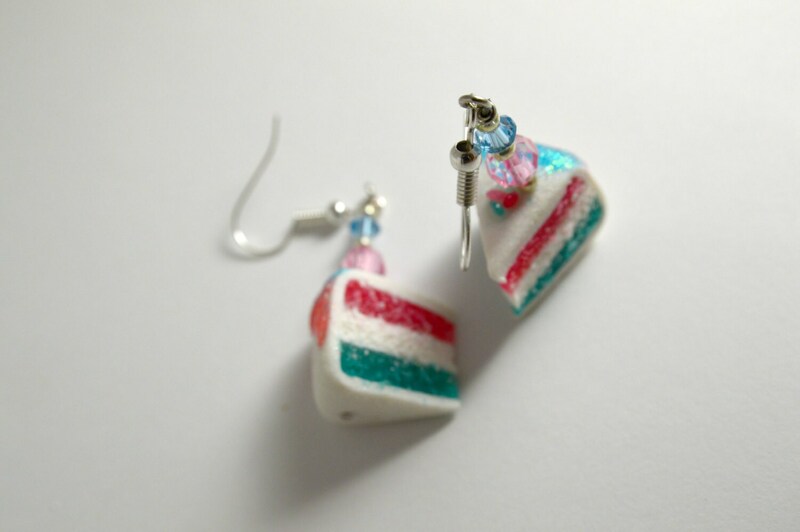 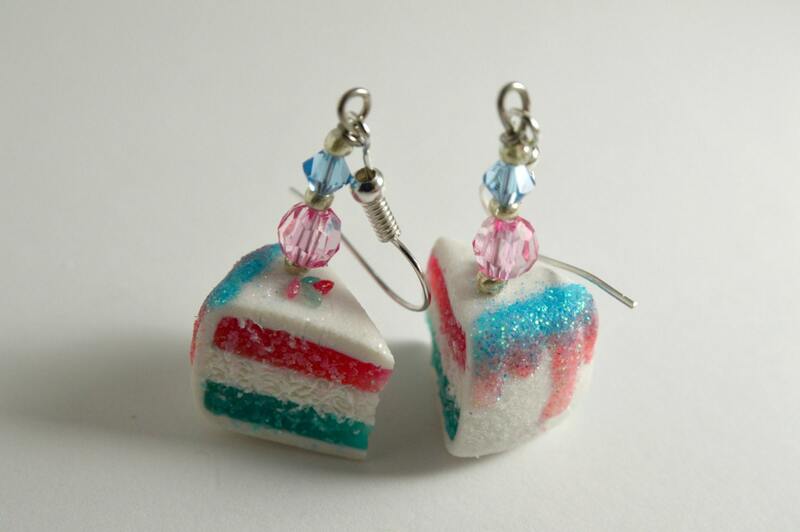 Handmade Polymer clay miniature cake Jelly bean cake earrings. . All items are hand made with care.